The Meriam MFC5150 HART® communicator is an extremely powerfully designed field communicator that can be used in hazardous area Zone 0 applications. It is certified intrinsically safe and ATEX approved. The HART communicator was designed for engineers who want to communicate with either registered or unregistered devices. The MFC5150 HART communicator comes with storage capabilities since it uses a 1 Gig processor and 4 Gig Micro SD card. An excellent tool designed for use under little or intense sunlight by anti-glare technology. Anyone able to use a smart phone should be able to know how to intuitively use the user friendly menu. The MFC5150 HART communicator runs just like a mini computer with a host of options that shorten the number of steps needed to complete a complex task. On a fully charged battery, the operator has over 10 hours of continuous usage so that all the necessary HART troubleshooting can be completed within a working day. When the device is idle, it will standby for over 200 hours. Flow Measurement Solutions using differential pressure set ups manufactured by Meriam have been used by thousands of industrial applications. Meriam provides both standard pitot tube solutions and custom types. The pressure loss produced is far less than many other primary flow elements which makes Meriam attractive not only in price but also technically. Eastern Energy supplies Meriam averaging pitot tubes with bi-directional flow capability available for applications on gas, liquid and steam flow measurement. An averaging pitot tube can save enormous costs when considering multiple installations for flow lines. The clog resistant and wear free designs save you time and money because unnecessary shutdowns are avoided. Automatic insertion probes for retracting the averaging pitot are an option which allow the user to take the pitot tube out of the line under process operation to inspect or simply to pig or flush the line without damaging the instrument. Meriam hand held instruments can be used to perform tests which include standard pressure tests in the laboratory, work shop or the field including absolute pressure, differential pressure, vacuum gage, compound, temperature, thermocouple inputs and more. 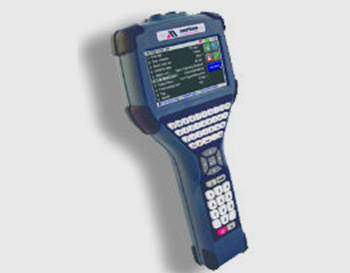 Many of the instruments have datalogging and communication capabilities. Our sales engineers can assist you in choosing the right instrument for your application. 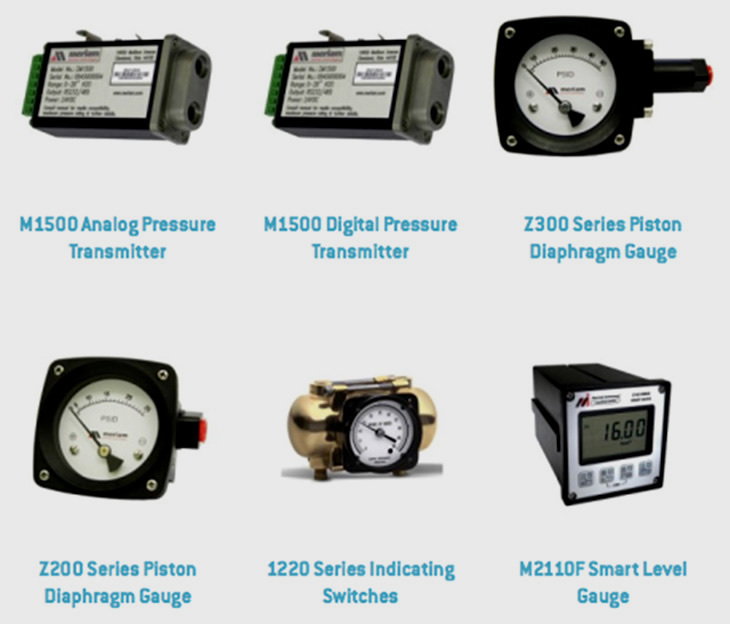 Well known and reliable mechanical and digital pressure gauges for process measurement and indication. Unbeatable accuracy specifications and little-to-no temperature effect set these instruments apart from the competition. Many of our digital gauge products have multiple output options to increase their versatility in today’s changing control scenarios. Mechanical gauges offer advantages digital units in applications where the diurnal effect is a consideration. 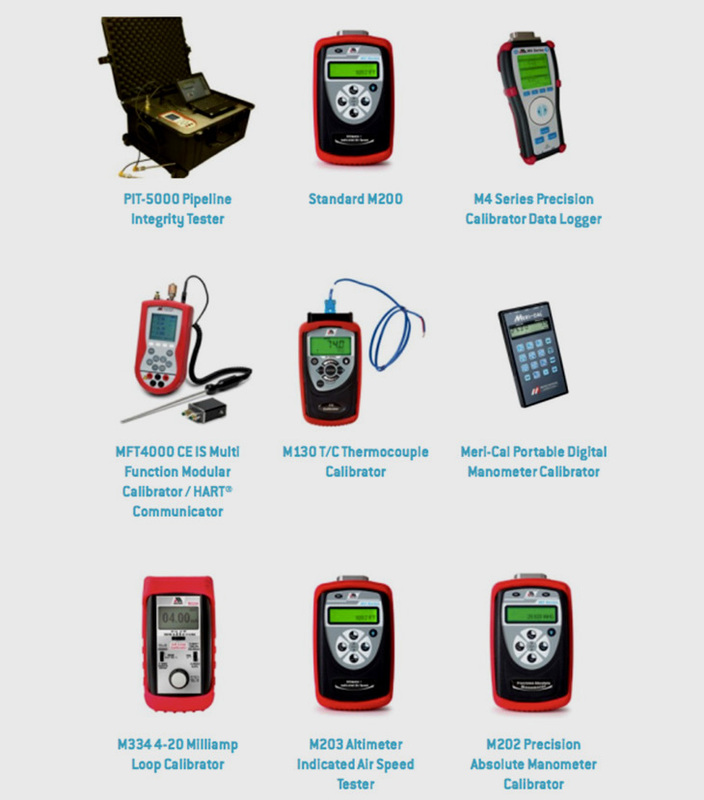 The M330 EPI is designed for OEMs who require accurate, temperature compensated, pressure measurements but do not want the expense of designing and maintaining the calibration infrastructure necessary for this precision. M330 Series brings Meriam's 25 years of experience in these areas directly to your systems and products. In addition, the M330 communicates digitally for best possible accuracy, uses no internal hoses - eliminating potential leak paths - and can be field re-calibrated using standard commands. Watch the video on the EPI solution if you are an integrator in Asia Pacific looking for cost effective and highly accurate OEM pressure measurement solutions. Portable Hand pumps are essential for hydraulic field testing and calibration of field devices such as pressure transmitters, gauges or switches. 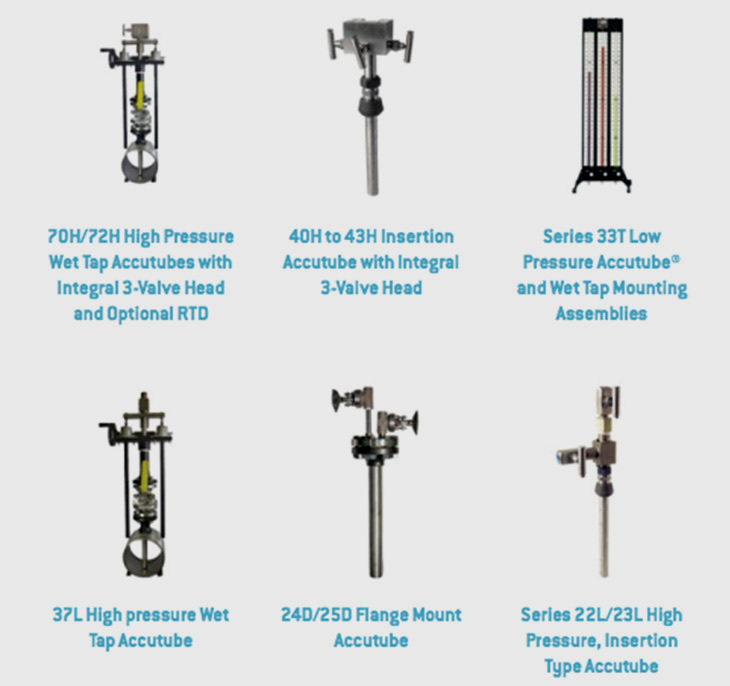 Meriam’s line of ergonomically engineered, high quality hand pumps are designed for ease of use and reliability. All models provide the high performance required for all your range of applications; from very low to high pneumatic pressures and for very high pressure hydraulic systems. 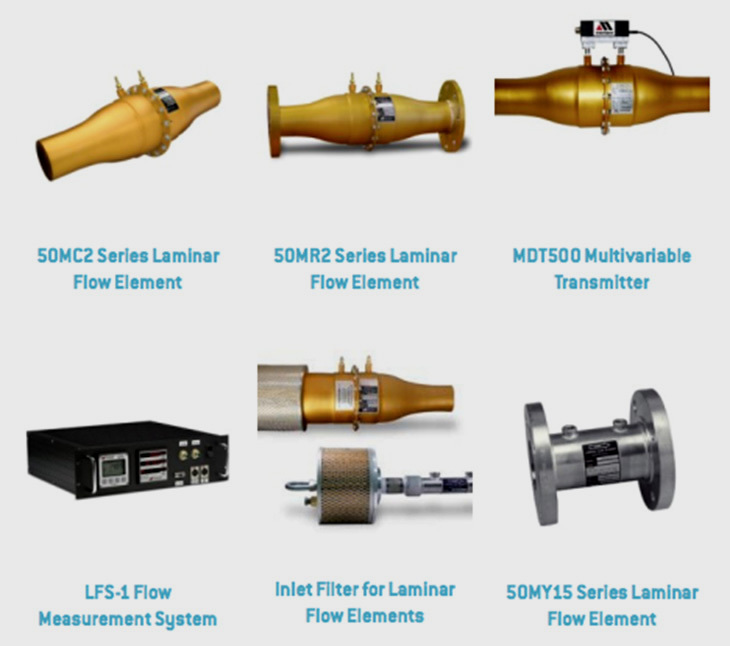 Our laminar flow elements are excellent for applications such as Process Air and Gas Measurement, Engine Air Intake Measurement , Emissions Analysis , Flow Benches, Calibration Standards/Reference and Component Leak Detection. These high accuracy flow elements can achieve even greater accuracy when combined with a Meriam multivariable flow transmitter package. The U-tube manometer is the basic and most widely used style of manometer. The Meriam U-tube manometer is a versatile, economical instrument for the measurement of pressures, vacuums or differential pressures. Pressure measurements are accomplished by balancing a vertical head of indicating fluid with the pressure to be measured. There are no cams, gears, or levers to operate in the manometer. This allows the U-tube manometer to be recognized by NIST as a primary standard due to its inherent accuracy and simplicity of operation. Meriam U-tube manometers are constructed of a ridged cast aluminum frame, aluminum indicating scale and hand bent glass U-tube. Mounting holes are provided in the frame for mounting to a wall, column or other suitable structure. Well manometers are a direct reading device designed for process monitoring, general purpose production testing or laboratory measurement. Designed for a maximum line pressure of 250 PSI (500 PSI optional) these instruments may also be used for tank level, flow measurement and leak detection. 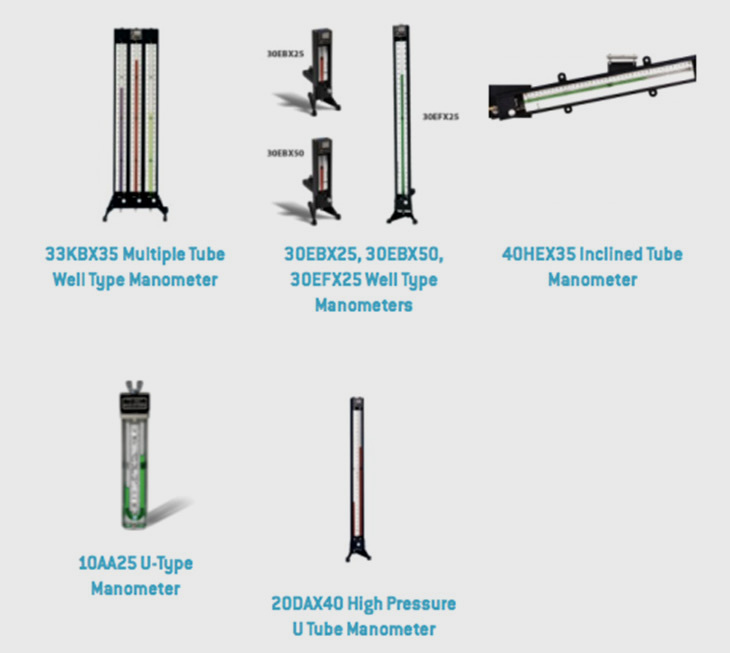 Well manometers are constructed of aluminum channel, stainless steel end blocks and stainless steel manometer well. The 7/16 diameter glass tubing is yoke packed with viton gaskets at each end block and is supported at spaced intervals to prevent distortion. In most cases, the uncertainty of a manometer reading is +1/2 of the smallest scale graduation. This is due to the human eyes ability to interpolate between graduations. Inclined manometers provide greater readability by stretching a vertical differential along an inclined indicating column, giving more graduations per unit of vertical height. This effectively increases the instruments sensitivity and accuracy. Scales are typically graduated to the hundredth of an inch. The Model 40HEX Inclined manometer is individually calibrated and the angle of inclination is set relative to the instrument level mounted above the channel. The unit is also capable of operating with 350-PSI line pressure. The construction of the 40HEX35 is similar to the well type manometer described above. Additional inclined manometers are available depending on your requirements. Line Traps are an inexpensive means to keep manometers and indicating fluids clean and are recommended for all installations. When installed in the line ahead of the manometer they permit entrained solids to settle out before they reach the manometer. When used with gases or vapors they trap moisture. Bubblers provide a visual indication of flow by showing air or gas bubbles discharging from a dip tube immersed in a liquid in a transparent bowl. The bubble rate is controlled by a stainless steel needle valve in the head casting. Bubblers and Line Traps are available with heavy wall transparent bowls made of either plastic or glass. They are rated at 100 PSI and 50 PSI respectively. Either a ring type or strap type configuration is available for securing the bowl to the head. Line traps and bubblers can be ordered to meet your specifications.